Four Torah scrolls valued at approximately $240,000 stolen from Brooklyn synagogue during Simchat Torah. 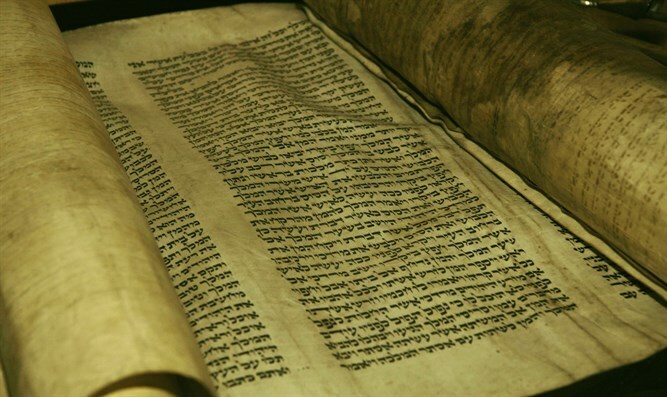 Four Torah scrolls valued at approximately $240,000 were stolen from a Brooklyn synagogue during the holiday on which Jews show their love for the Torah by dancing and singing with the scrolls. Surveillance video showed a man in his 20s wearing a kippah entering the Avenue O Synagogue in the Midwood section and leaving with the scrolls during Simchat Torah, according to local news reports. The scrolls were taken at about 1 a.m. Tuesday. It is not known whether the thief is Jewish. The Orthodox synagogue was locked at the time and it is not known how the man got into the building, according to reports. New York City Councilman David Greenfield has offered a $1,000 reward to anyone that provides information that leads to the arrest and conviction of "the despicable criminal who committed this crime," Greenfield told WPIX-TV. "We will not tolerate this outrageous criminal activity in our community," he said.